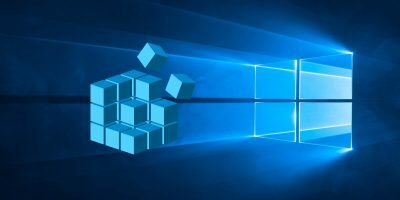 It is a norm for Windows to become “slow”, regardless the version of Windows that you are using, after some time of using it. This also explains why there are so many system cleaner apps out there to help you clean up and optimize the system so that it can run fast again. 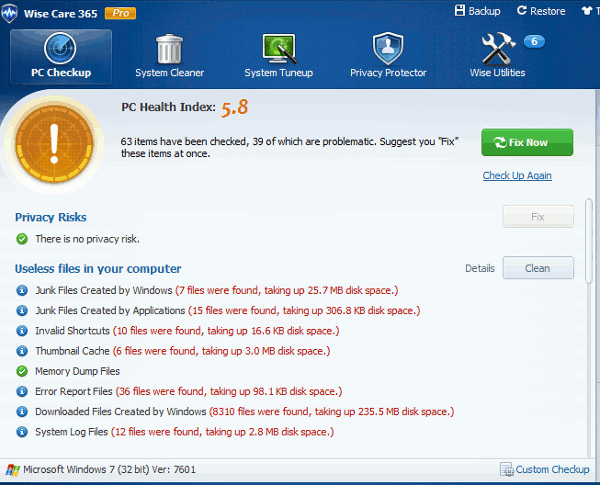 Wise Care 365 is another PC cleaner and speed up tool that aims to clean and speed up your computer in a single click. And yes, we have a giveaway for it. 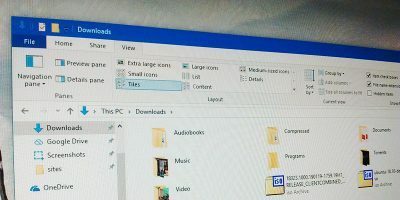 We have reviewed several system cleaner apps, but what I like about Wise Care 365 is that it can scan your system really fast and clean it with a simple click. With the System Tuneup feature, I am able to get it to diagnose my hard disk for useless files, clean up and recover 1.1GB of storage space in less than 10 seconds (of course, the the diagnostic time is dependent on the size of your hard disk. The bigger your hard disk is, the longer it will take). 1. On the first run, you will be prompted to select a theme and the language. 2. There are several things that Wise Care 365 can do. 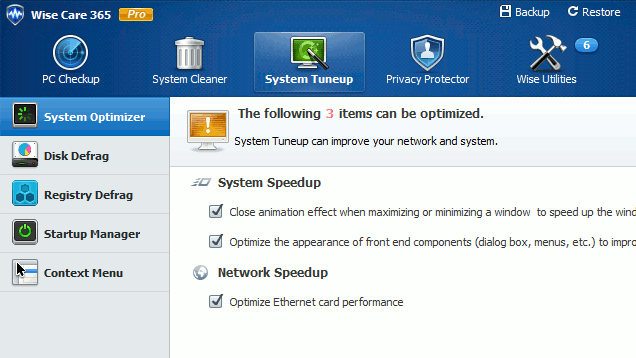 It can checkup your PC for security problems and optimizable items, scan your registry and hard disk for useless (registry) entries and files and clean them up, optimize your system (including the ethernet card performance) and make it runs fast, and lastly, provides privacy and security tools for you to beef up your system security. 3. To get started, on the PC Checkup tab, click the “Check Now” button. This is what you will see. 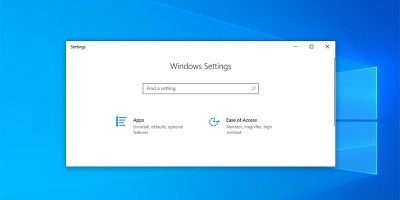 And if you click the “Fix now” button, it will prompt you to first create a backup (create a system restore point or a full registry backup) before it proceeds to fix your PC. After the backup, it will then clean up your PC. You can scroll down the list to view the stuff that it fixed. 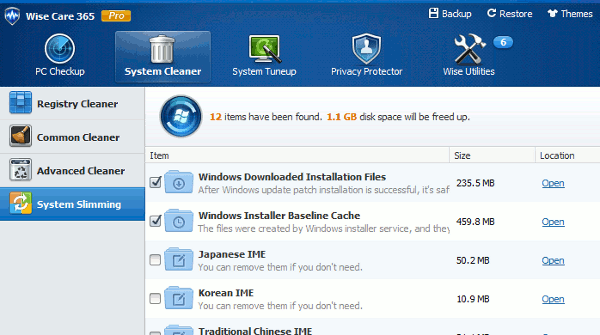 The System Cleaner allows you to clean up the bulky and useless stuff in your hard disk. 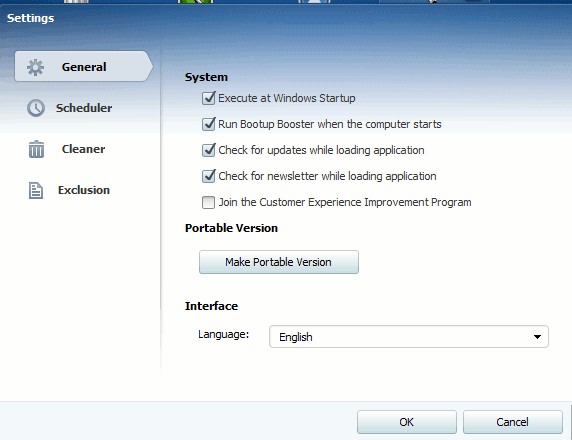 In the left pane, you can select between “Registry Cleaner”, “Common Cleaner”, “Advanced Cleaner” and “System Slimming. The “Common Cleaner” option only cleans up junk file from a few folders, including the temporary folder, internet browsing history etc. The “Advanced Cleaner” option will scan the whole hard disk and find orphaned files that can be removed. Using the System Slimming mode, I have managed to recover 1.1GB of storage space, which I think is pretty impressive. 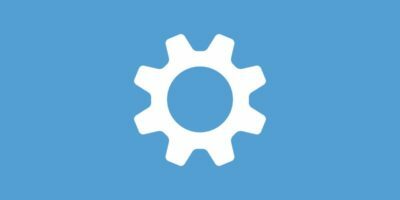 The System Tuneup mainly deals with disk defrag and registry defrag, it also allows you to view the items in the Startup Manager and Context menu and you can decide which item you want to remove from the list. In the Privacy Protector section, there is the Privacy Eraser that you can use to erase your file and browsing history. It also comes with Disk Eraser that can scan your hard disk for recoverable files and give you the option to remove them permanently. The File Shredder is useful if you just want to shred a single file or folder. 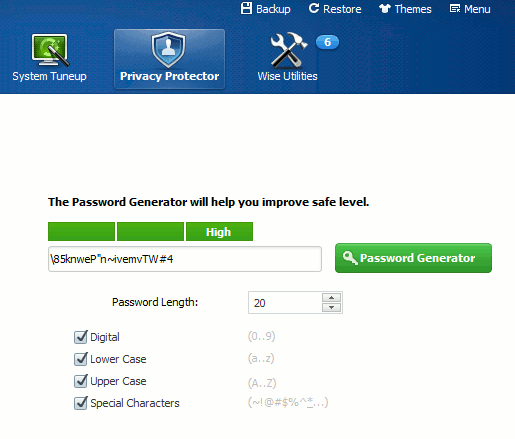 Lastly, the password generator allows you to generate secure passwords. In the Settings, you can configure it to run the Bootup Booster when the computer starts. There is also a button where you can click to create a portable version of the app (this is very handy). There is also a scheduler where you can schedule it to run at regular interval to clean and optimize your system. As a system cleaner, I think Wise Care 365 has done its jobs well. It even comes with various tool (such as File Shredder and Password Generator) that are not included in many other system cleaners. 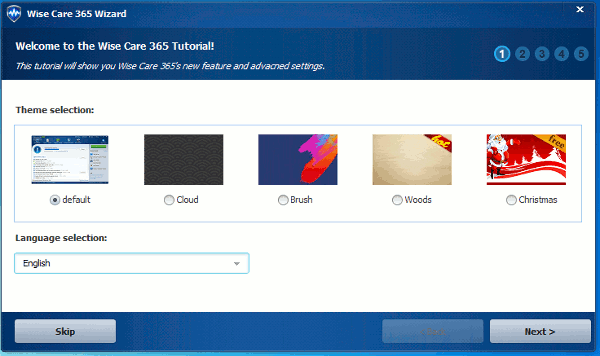 Wise Care 365 comes wih a limited free version and a Pro version ($29.95) that can be used on up to 3 computers. Thanks to the kind sponsorship of WiseCleaner, we have 200 license keys to give away to all of you. With this license, you can enjoy all the features of the software, use it on up to 3 computers and receive 3 months of free upgrade service. 1. Go to this link and fill up your name and email address. 2. Click the “Get License now” button. 3. Check your email for the licensey key. That’s it. Enjoy your copy. This giveaway event will end once all the 200 license keys are given away. This giveaway is completely free and there is no condition required to participate. However if you like this product, do help us to share this page and spread the words around. Thanks to WiseCleaner for the kind sponsorship. If you would like to sponsor a giveaway, do contact us here. Parse error on submitting the request. Does that mean the license are given away? 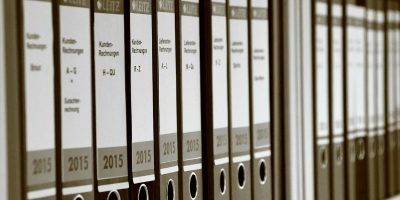 I am checking out with the developer on the status of the license request form. I will update you again. Because of your Fan base Damien-I think you they used you for your name and followers. You should be more careful on these co. web sites that want a Web Site Reconnection . .
Don’t worry, I will continue to keep in touch with the developer. Meanwhile, you can participate by filling in the form above. Sorry Nascar68117, It’s not Damien’s fault, it’s our fault. Actually both Damien and me have tested it yesterday, it works well. The error from the “online editor”, now we have fixed it. So please get it again. Sorry for the inconvenience. Thanks for the update and the contact form, Damien. Sorry RH, It’s not Damien’s fault, it’s our fault. Actually both Damien and me have tested it yesterday, it works well. The error from the “online editor”, now we have fixed it. So please get it again. Sorry for the inconvenience. I’m also having this problem. If this company can’t even code their forms right, I’m not sure if I want to let them work on my registry or anything else. Sorry Rick, it works now. Please try it again. Our famous software is Wise Registry Cleaner, you can google it and find it’s review. And it’s all functions are included in Wise Care 365. Sorry for the inconvenience to you. Since We are all getting the Same Error message , I think this was a Free Advertisement for this Web Co.. Sorry for previous getting error, now it fixed. And we add another 100 keys for expressing our apologize. Sorry again! Does it work on a solid stae system????? This is misleading wording – the subscription is for only 3 months! The software is fully functional and is given out for free, which would otherwise cost $29.95. On top of that, you are still entitled to three months of upgrade support. I don’t see any thing misleading about this. WiseCare365 Is Fast about what it does. 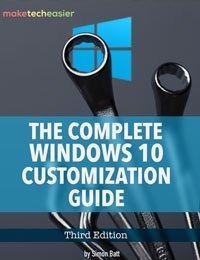 The above statement is vague but I found it impossible to find “Complete” details, specs, features about any of these types of programs. Not to be insulting, but even this article doesn’t list All of WiseCare365’s features. That’s not so bad as CNET’s article about Glary Utililities, or most any other article there… just click on “See full specifications” and it brings you to a page that show’s everything but “full specifications”. The “full specifications” page at CNET says absolutely Nothing about Glary’s utility features. In comparing WiseCare365 to Glary Utilities, I went to many web sites, including the author’s web site, Glary’s to be specific, which had the least amount of information, and still didn’t find a complete list of features. I guess I’ll have to install Glary’s to find out more. I am at the moment running WiseCare365 which I got with License from BitsDuJour. I don’t know about Glary’s yet, but I did see that WiseCare365 has a Big Files Manager, a Folder Hider, and a “System Slimming” feature that I believe are very useful and I found them to be fast, and easy to use. For any of my comments, you’ll have to install, test, and judge for yourself. The Memory Optimizer seems to work great, although I don’t think it’s necessary for Vista and above… I could be wrong… WiseCare365 has a Bootup Booster which is Fun to use… helps you to trim up your start up… and show’s cute icons of a snail, bicycle, or race car, depending on the speed of your Bootup. The Context Menu editor is a blessing. My Context Menu was down right polluted. Not anymore. 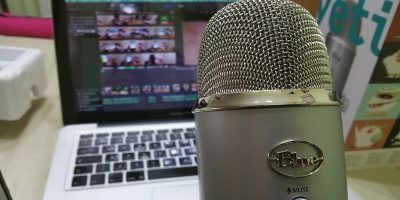 The Portable Version creator feature is somewhat unique and may be useful if you suffer an issue where your op-sys needs service and repairs via outside sources, like a CD ROM or Flash Drive rescue.